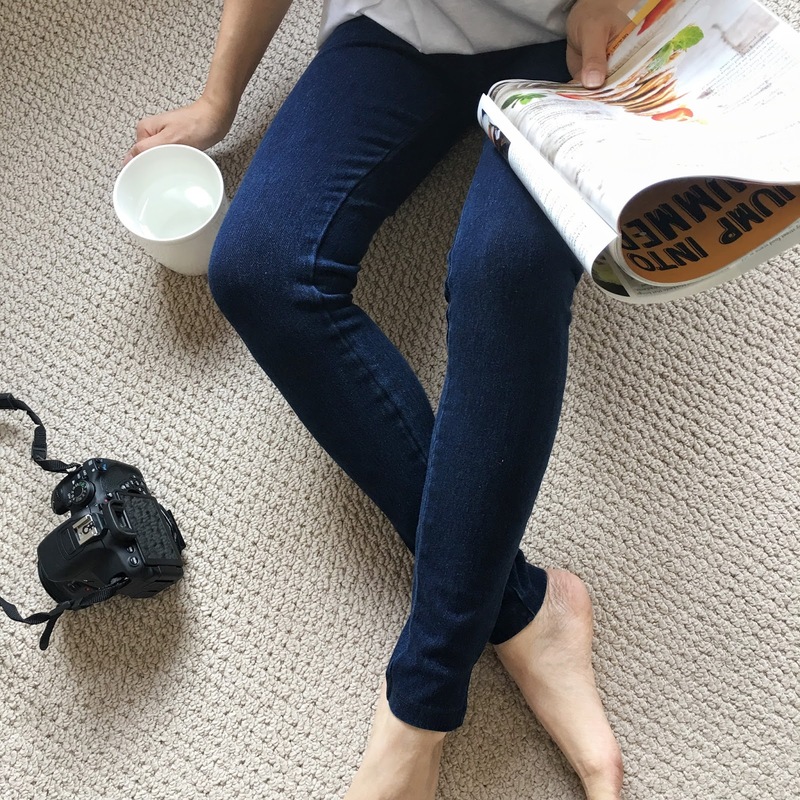 When I find a pair of jeans I like, I usually wear them non-stop. And today, there's a pair of jegging's - jeans/legging, I would like to introduce to you as I've been wearing them every day since I've gotten them. Svelte Shapewear Legging* are the perfect denim to give you all the comfort you need. It's made with woven cotton spandex which allows you to move, stretch dance in any way you like. The leggings look tight at first but once you slip into the soft interior spandex, your legs feel like they can breathe and there's no problem with your skin rubbing against the fabric - no rashes whatsoever. And the highlight of these legging is the extra panel you get on top to hide your belly or love-handles. It's literally seamless unless you're wearing a crop top and want to show the panels but it's great to hide all the little inches you rather keep hidden. The colour is a beautiful dark blue and I pre-washed them before wearing in case of colour loss but I washed it with cold water, hang - dried and it came out with no colour loss. I have to say I'm super impressed with this legging - literally my go to denim.